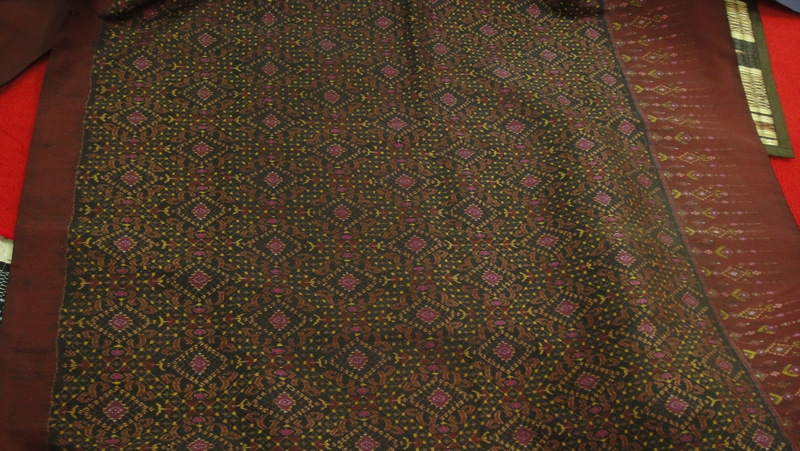 Nor did I like the colors as much. 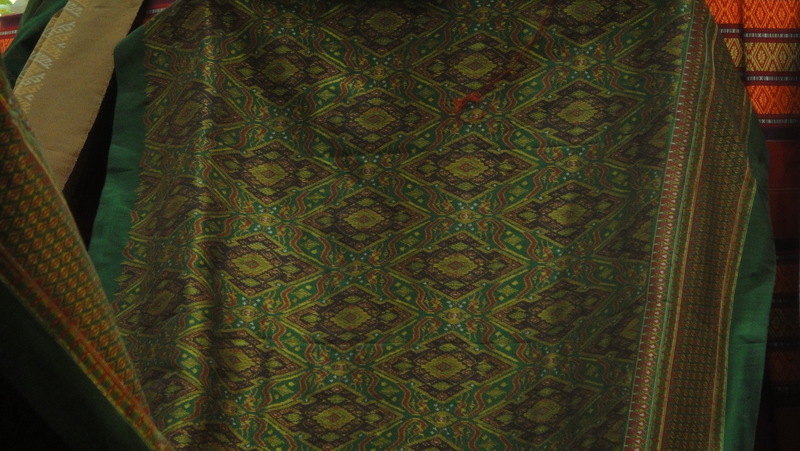 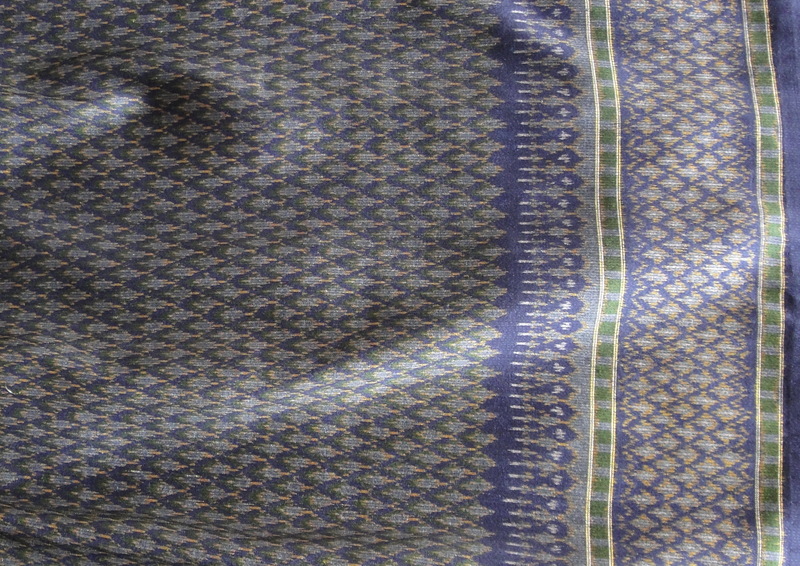 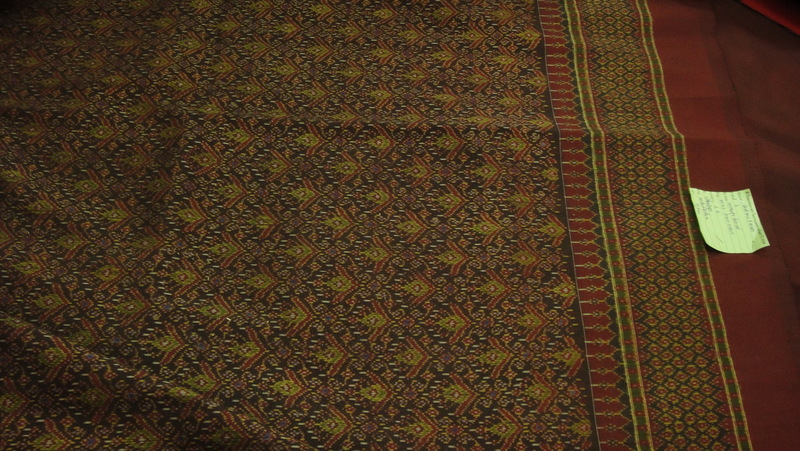 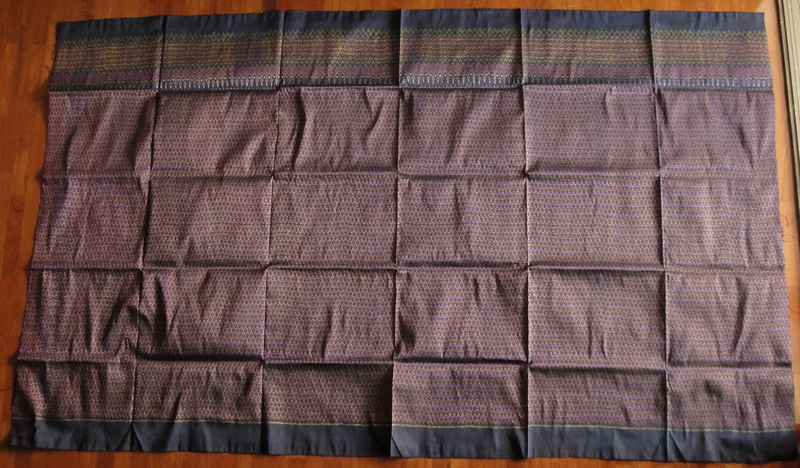 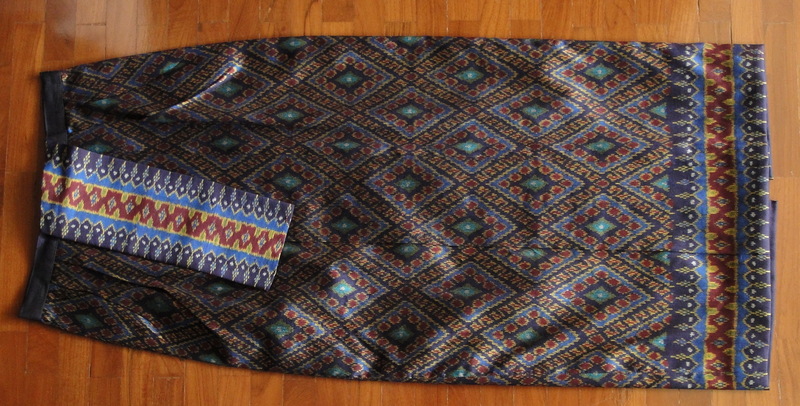 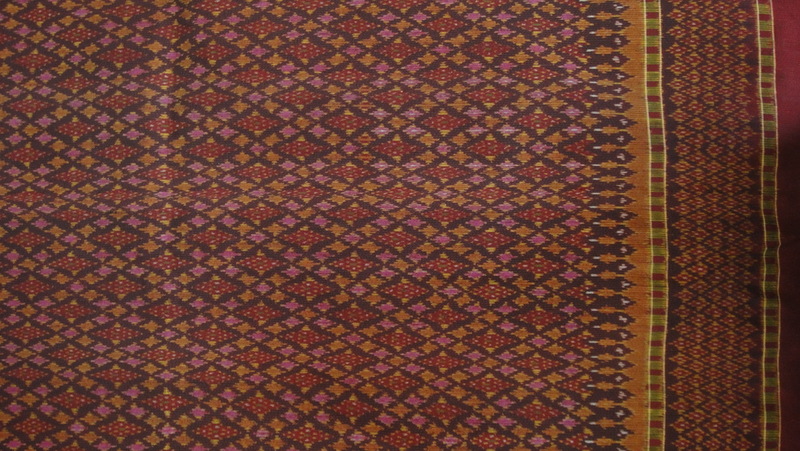 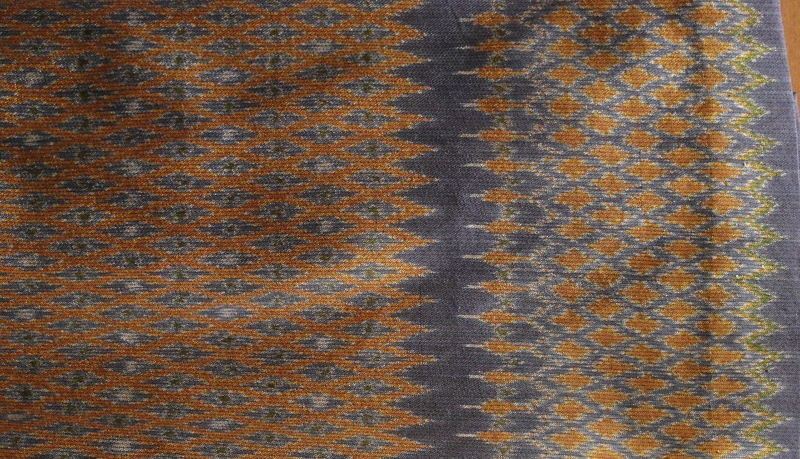 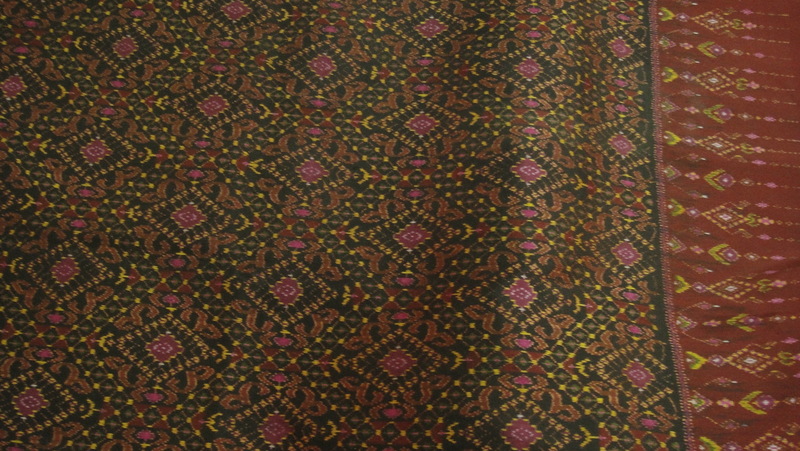 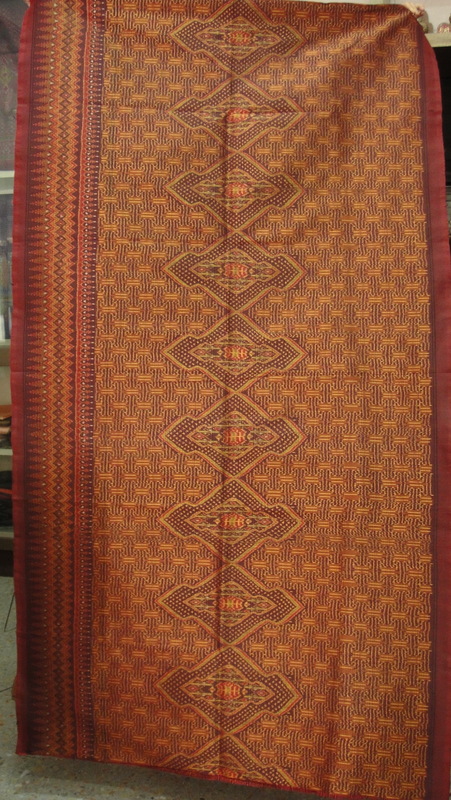 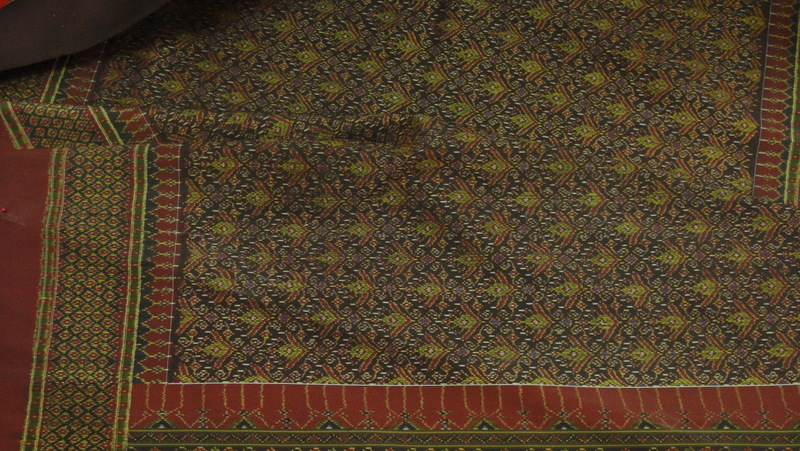 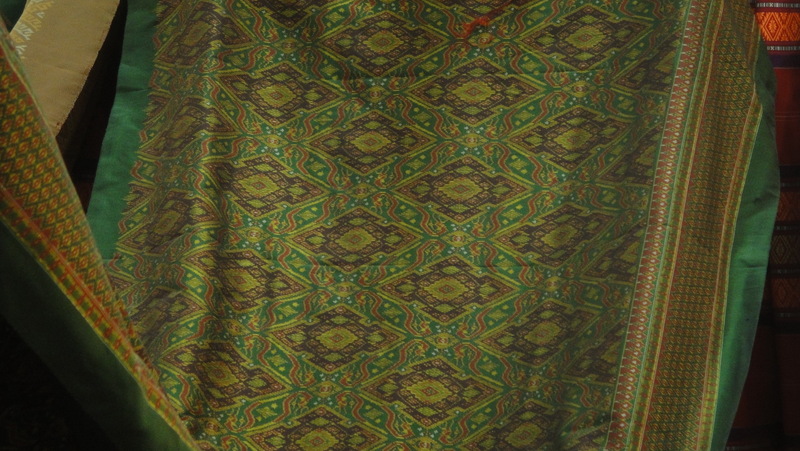 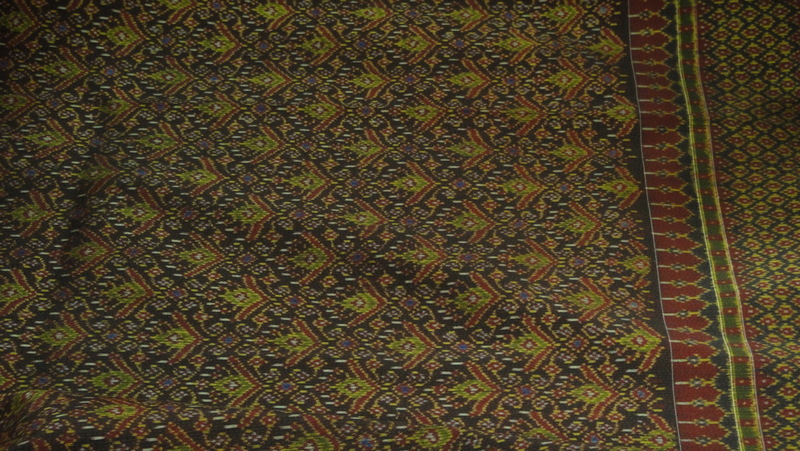 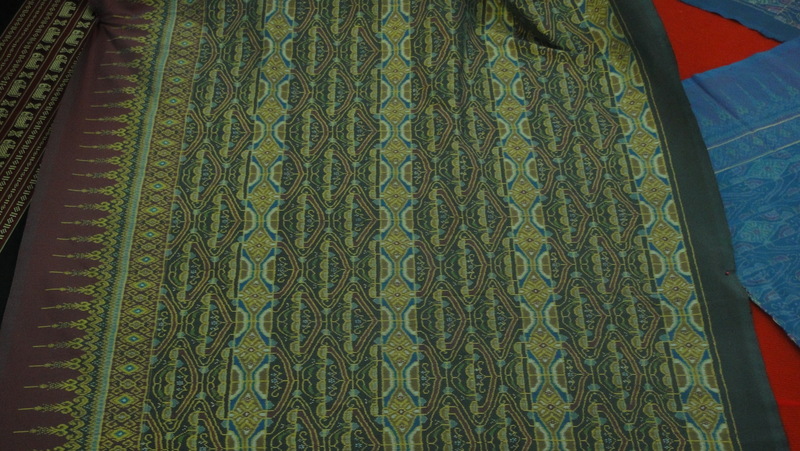 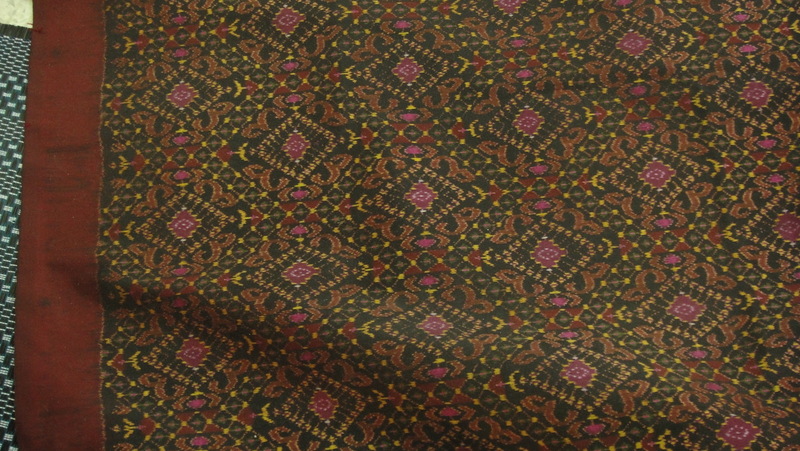 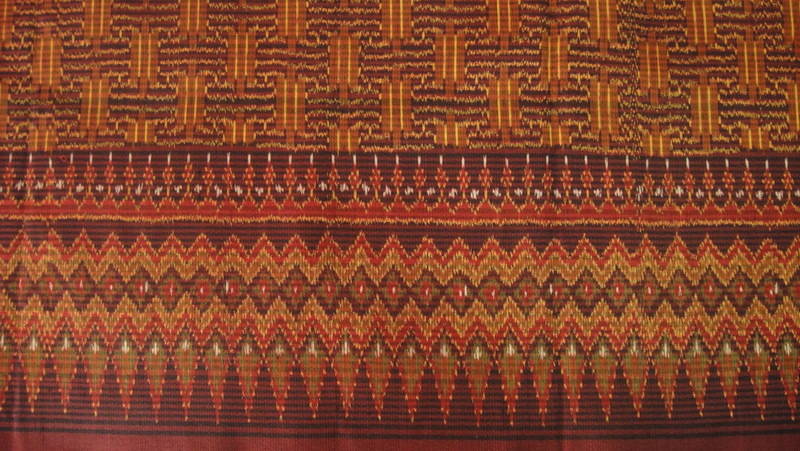 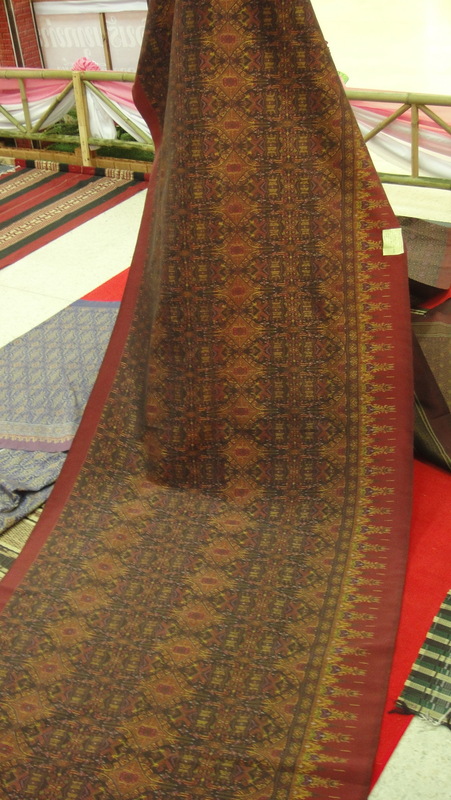 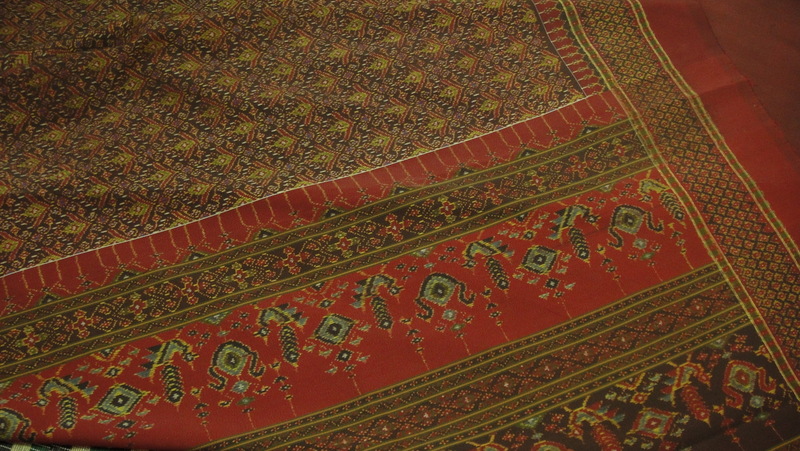 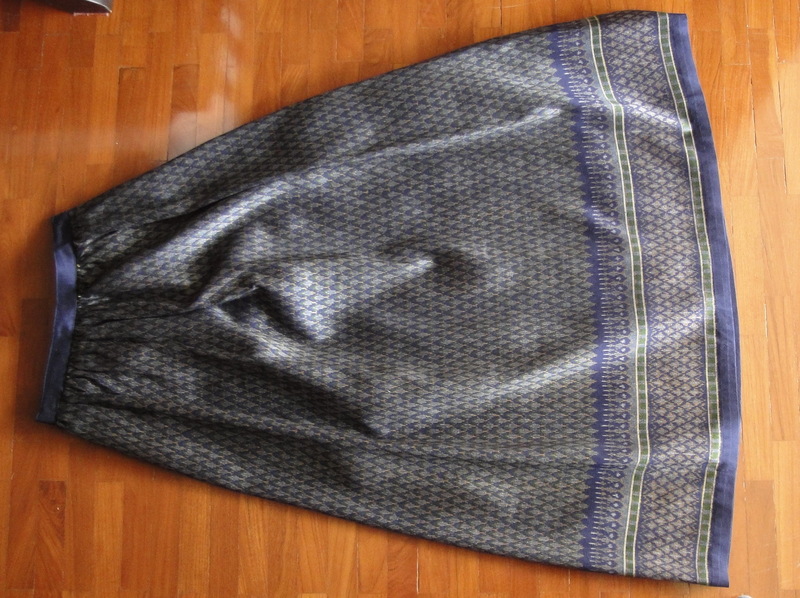 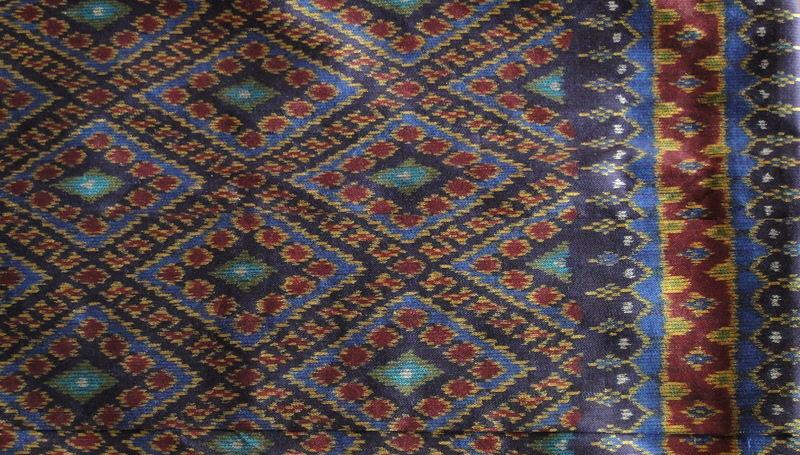 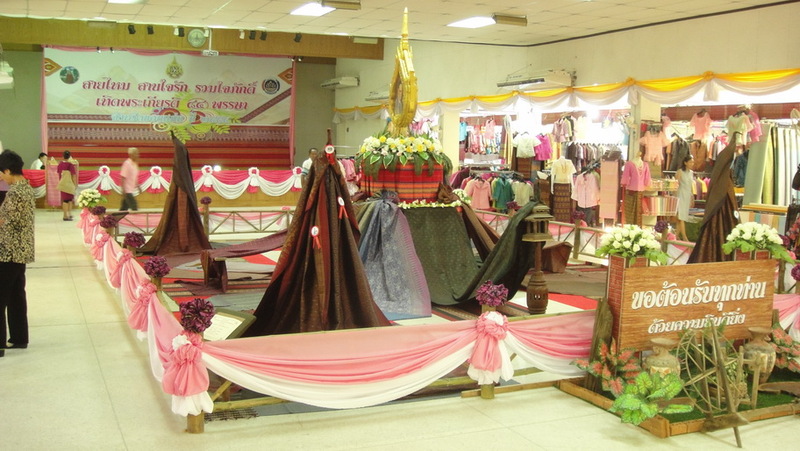 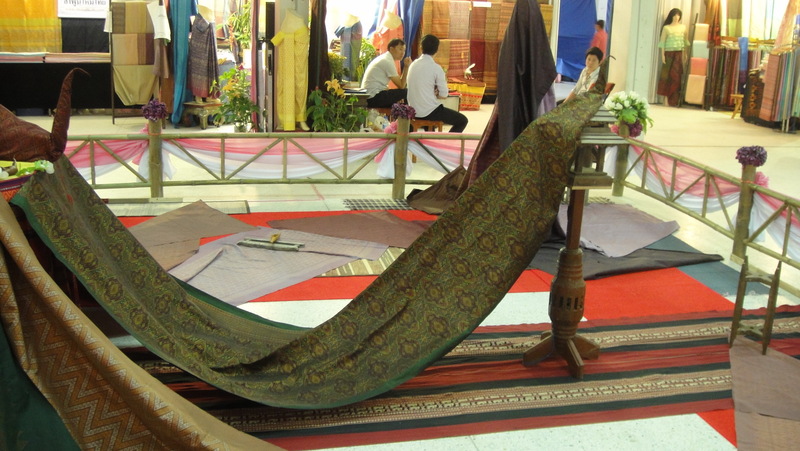 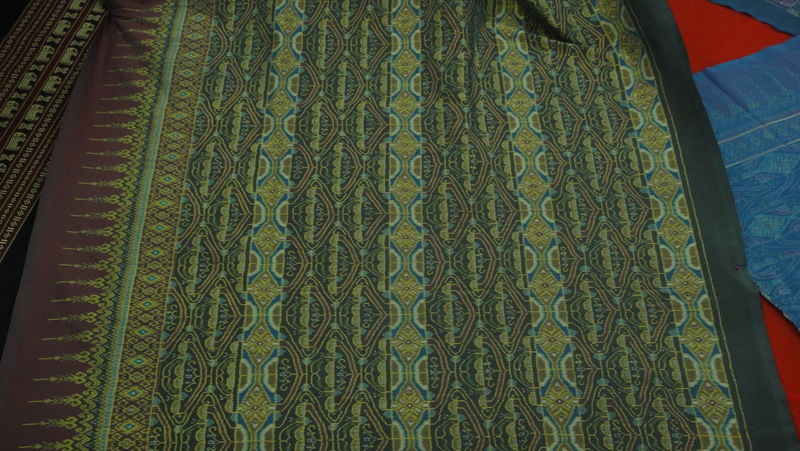 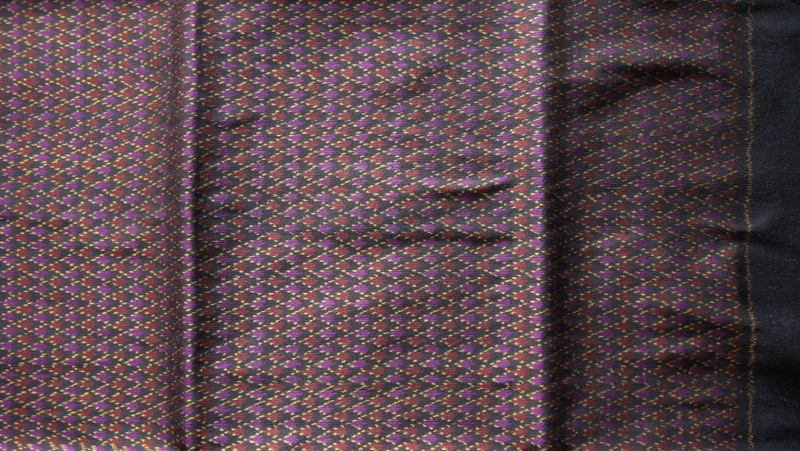 (Incidentally, these two pieces are representative of the two broad design groups — passim (the one on top) — which is a design for a tube skirt — consisting of two parts, a broad main body and a border on one side (which is worn down); passim are woven in very long lengths — 12 meters and more, and then cut and sold in 4 meter lengths; and — the second item — nanang, a fancy design with two borders and two end pieces, usually just under 4 meters, which is meant to be worn elaborately tied — or to be hung on the wall). 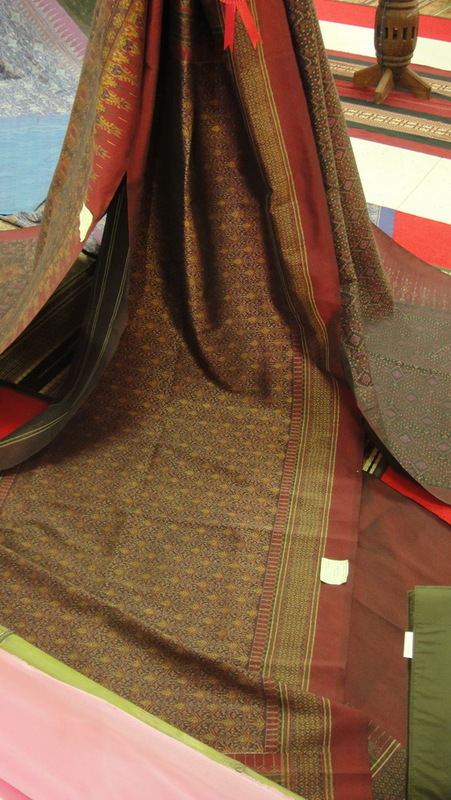 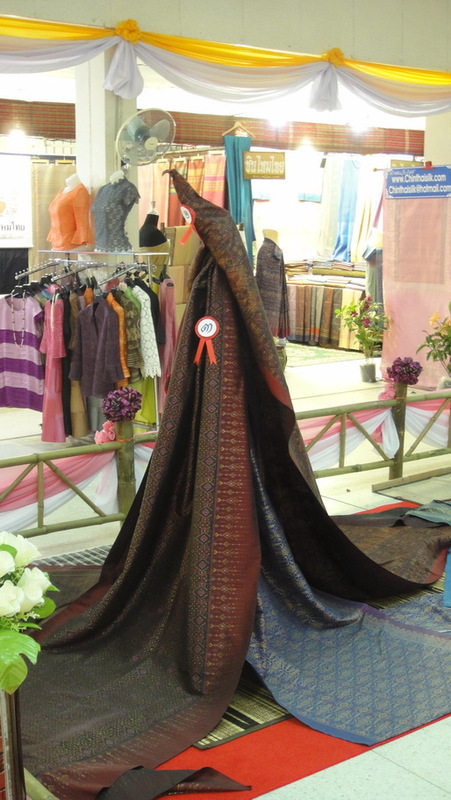 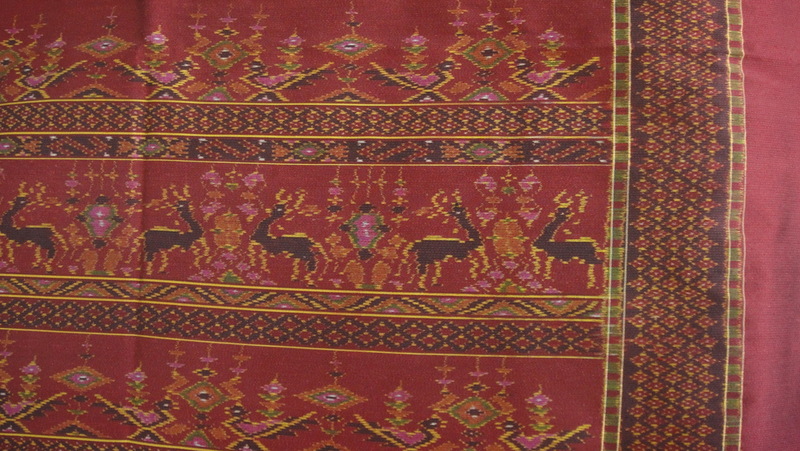 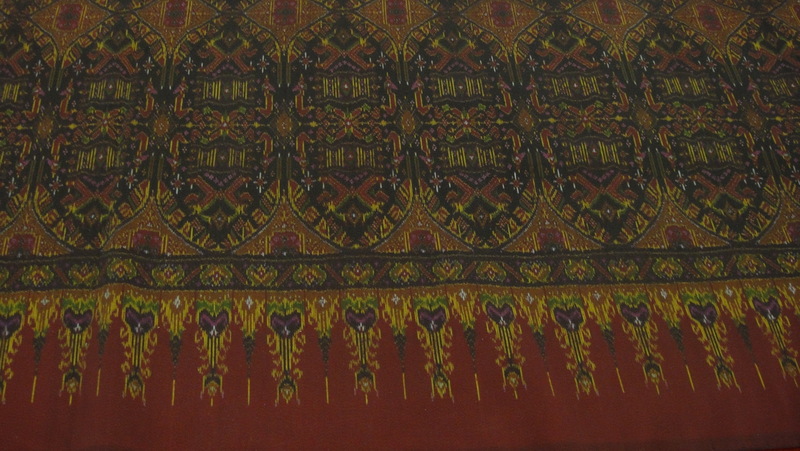 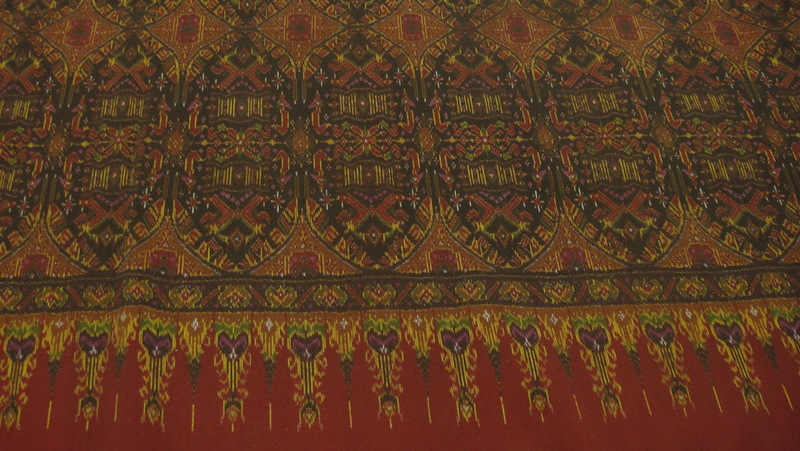 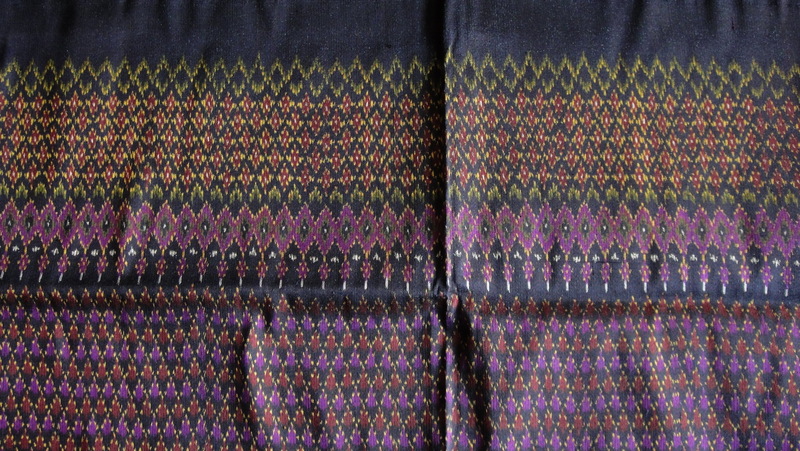 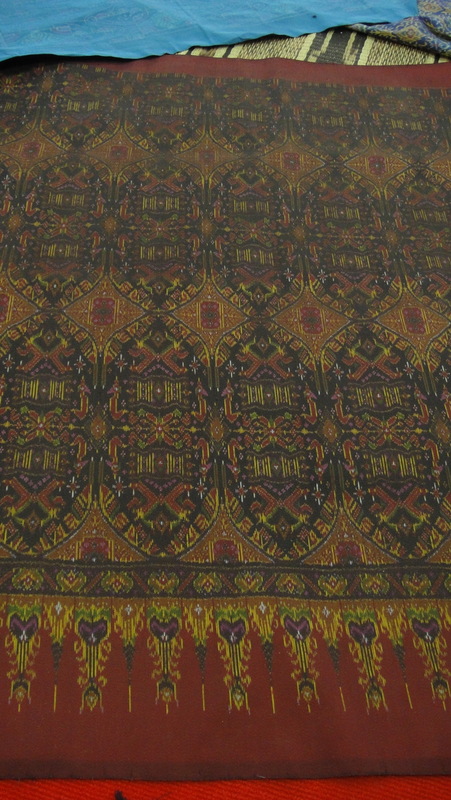 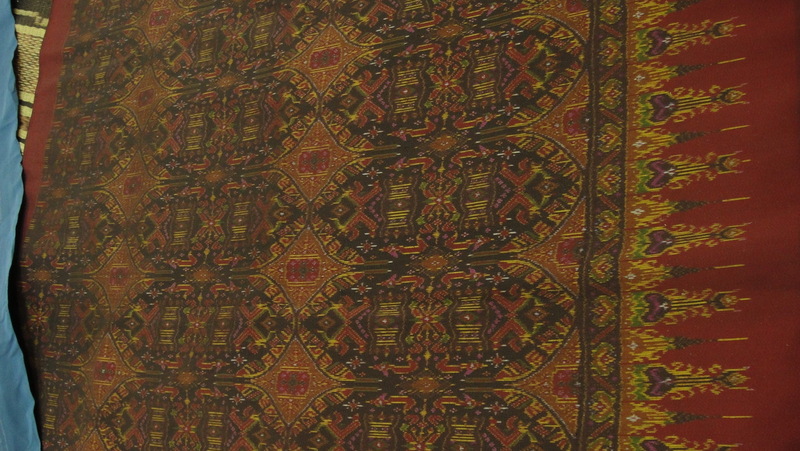 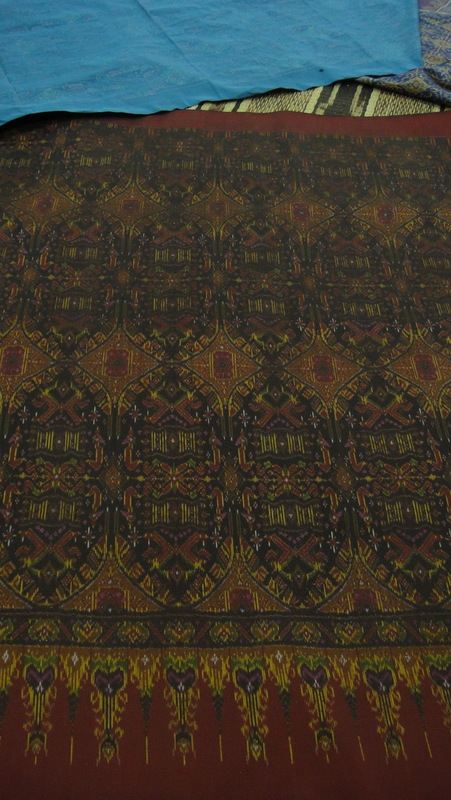 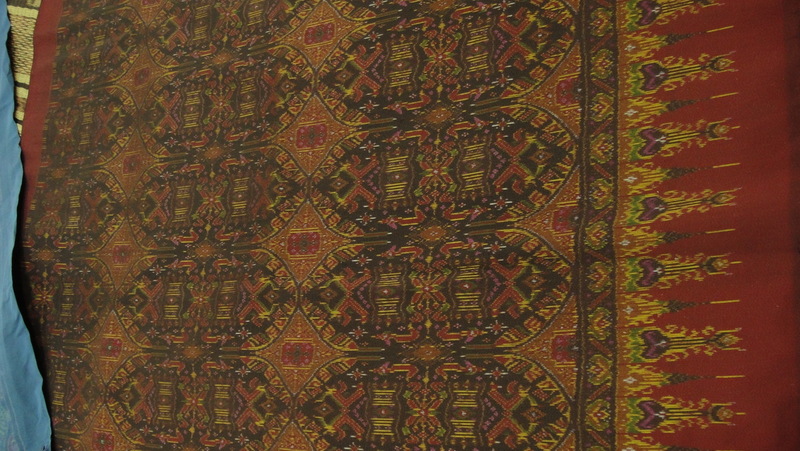 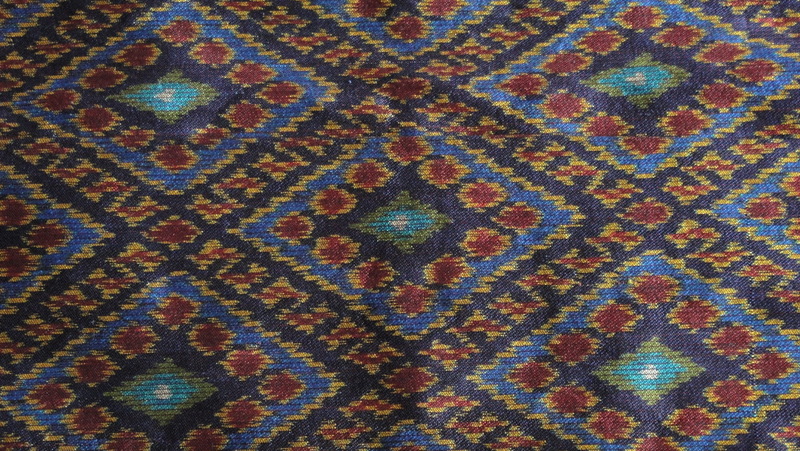 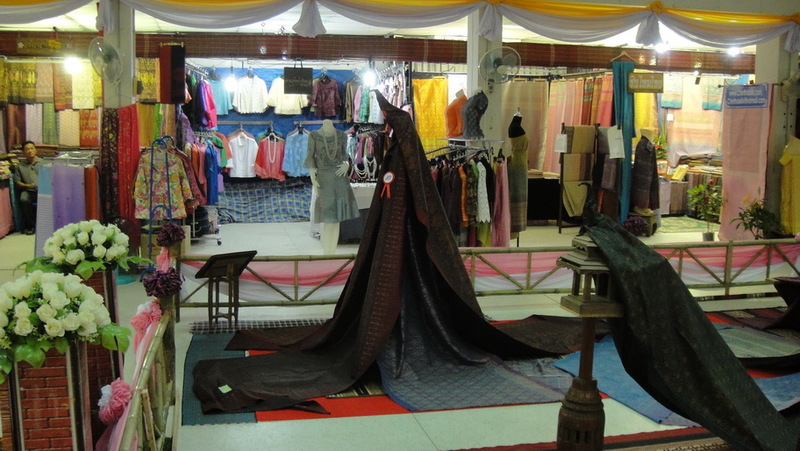 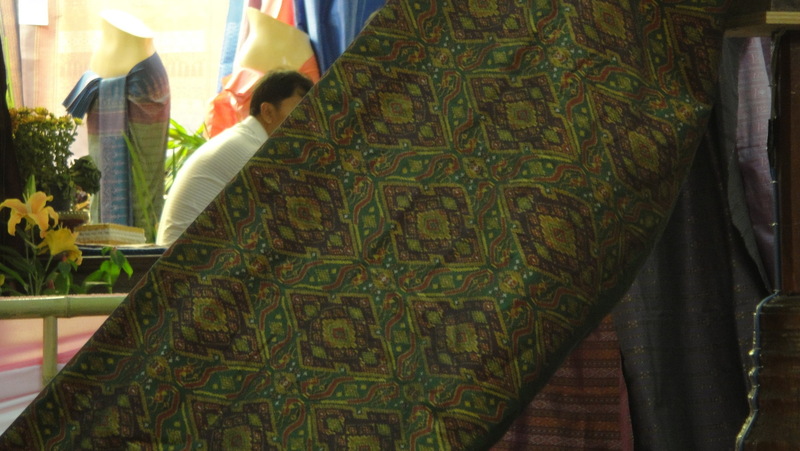 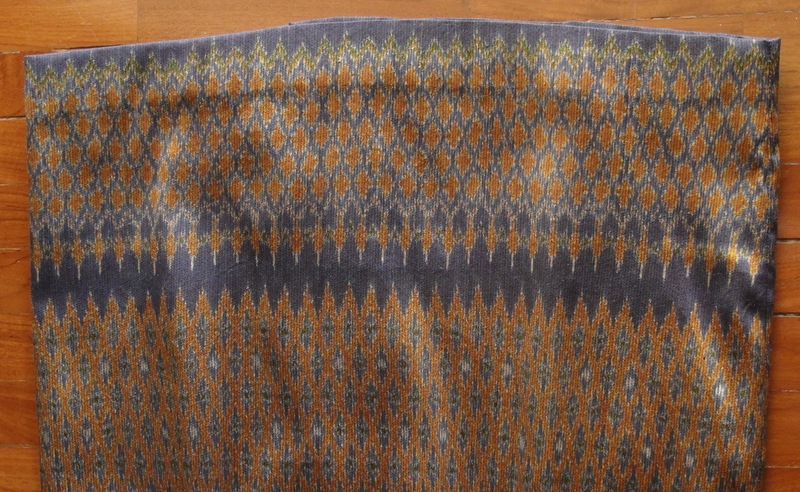 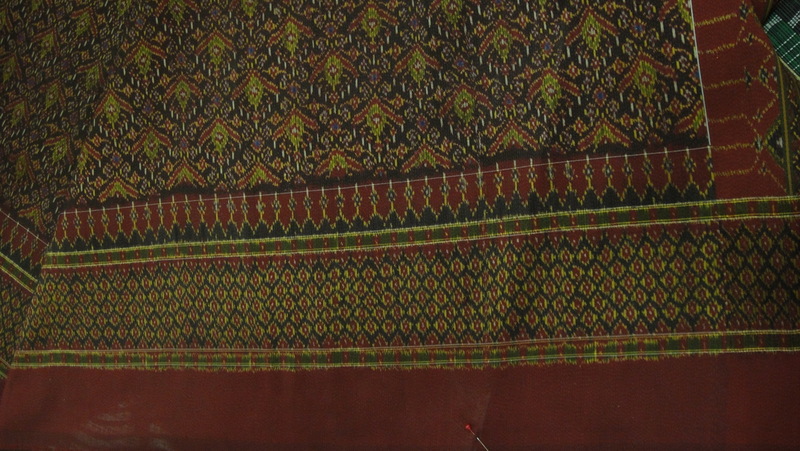 Another dealer had one other very good piece, for about $800 – and extraordinarily tightly-patterned na-nang of dark wine red with predominantly ash-grey pattern, but I was not allowed to photograph it. 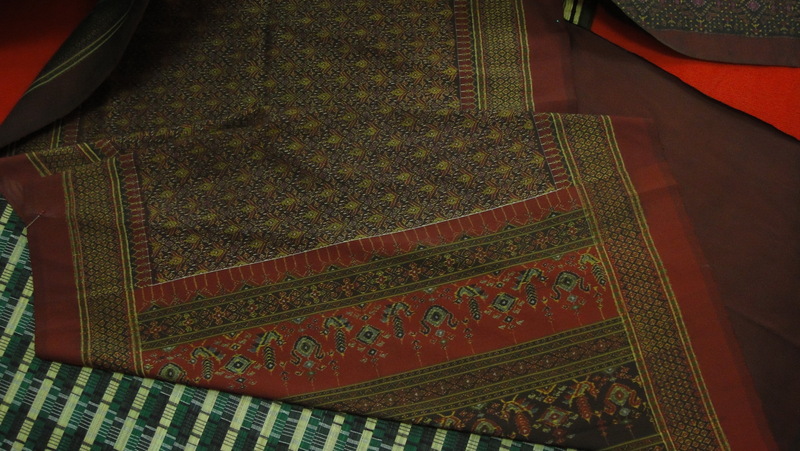 For brash filibusters like myself, with no contacts, no reputation, no introductions, and no agents, the best chance of finding a high quality piece is to drive through a weaving village mid-morning or early afternoon with the windows down and to listen for the clack-clack of the loom; then dismount, find the loom, see the piece being made and, if the piece is good, buy it right there and then (on a when-finished basis). 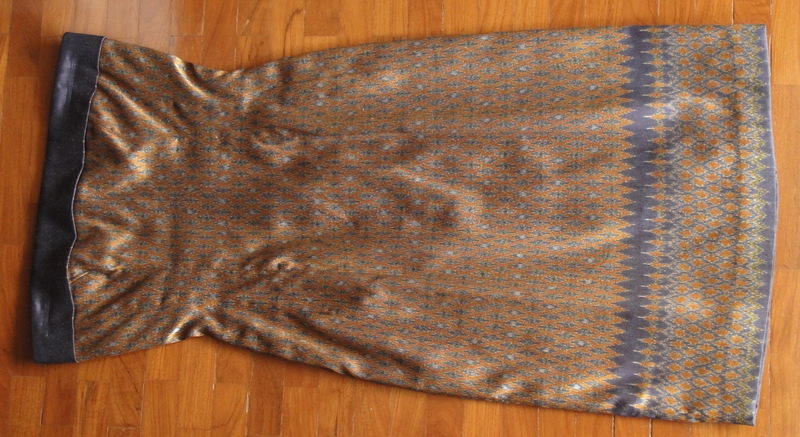 See the next post in this series for a few rather good pieces I picked up this way on a road trip back in 2003.